More than a week ago Earth First! 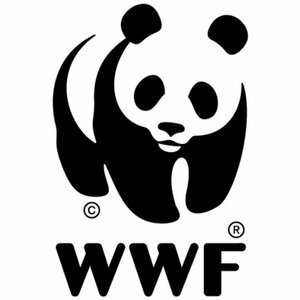 Philippines, raised questions about World Wide Fund for Nature Philippines’ (WWF) affiliation with McDonalds, Aboitiz Power and their usage of tarpaulins in their materials on their Facebook page. Being an activist that values the capability of social media as a valid avenue of facilitating informed discourse I was taken aback by the response that the Facebook Page admin did. They deleted the comment. Seeing that happen comes as a shock for me and when I tried asking about it all I got is a comment from another person affiliated with WWF saying that its because they’re about being positive and not negative. The answer gave me the impression of how ill-informed they are at the basics of social interaction within social media. Sometime during the early 1990s Richard Linklater, made a movie entitled Before Sunrise, that told this story about an American named Jesse and a French girl named Céline, who meet on a train and disembark in Vienna, where they spend the night walking around the city and over the course of one night, and lead to their revealing more about themselves than they normally would, fall in love and make love and the following day vowed to meet again after six months. The film’s ending leaves audience to decide for themselves whether Jesse and Céline will actually meet again in six months –a fine test of a person’s perception of romantic love. I think this film is worth reviewing since beyond concepts of romance and youthful idealized depictions of love the movie Before Sunset speaks a great deal about the anxieties that I feel are also facing a lot of us who have been quickened by the reality that what is ‘ideal’ and ‘perfect’ are illusive concepts that we may never really be realized in this life. I would like to think that this perhaps is what makes the movie Before Sunset quite remarkable because it strips us of this romantic illusion of relationships that pop culture constantly bombards us with in the media. It shows relationships as complex interactions of people, circumstances and decisions that we have to live with. A classroom conversation is what got me into browsing at notes that I wrote last semester after viewing an excerpt from Akira Kurosawa’s cinematic depiction of Dostoevsky’s The Idiot. The conversation that I had with my classmate was about presenting a distinctive portrait of the Christian doctrine of salvation, which puts particular consideration to the existential facet of conversion and the goal of wholeness which sums up the kind of life that was presented and made possible by Jesus Christ. 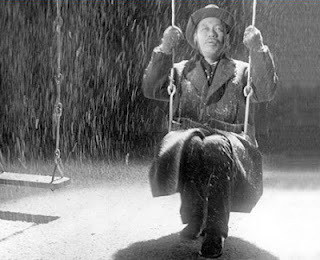 Here I find our exercise on the character of Kinji Kameda, the Idiot in Kurosawa’s movie quite interesting.